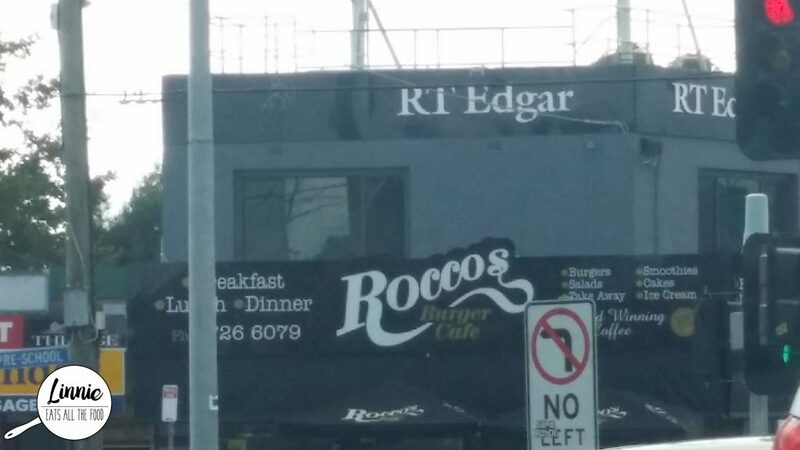 Since we’re finally moving in, we decided to check out the local eats and I’ve been eyeing Rocco’s Burger Cafe every time we drove past and FINALLY we had the opportunity to casually drop by to stuff our faces. It was quite busy when we went at lunch time but when we stepped into the cafe, we were greeted by smiling staff (even though they were super duper busy). You can definitely tell that it’s a family-owned cafe because they pay extra attention to you and they had a different kind of friendliness to them. 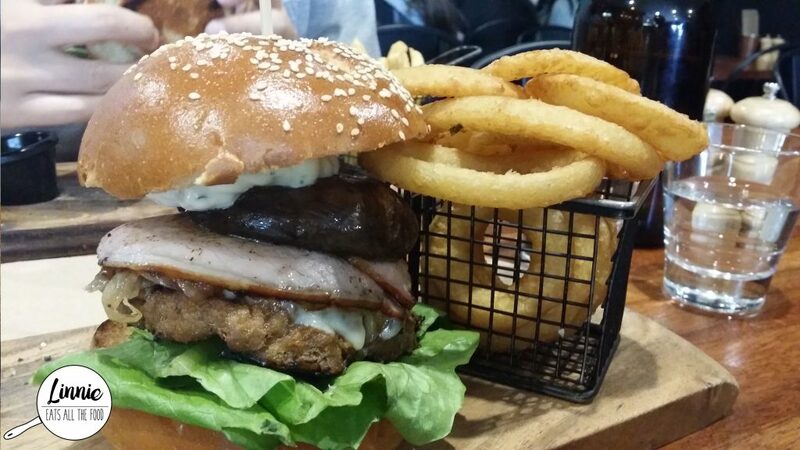 Now, back to the food, Mr D got the Lamburger with the side of chippies. 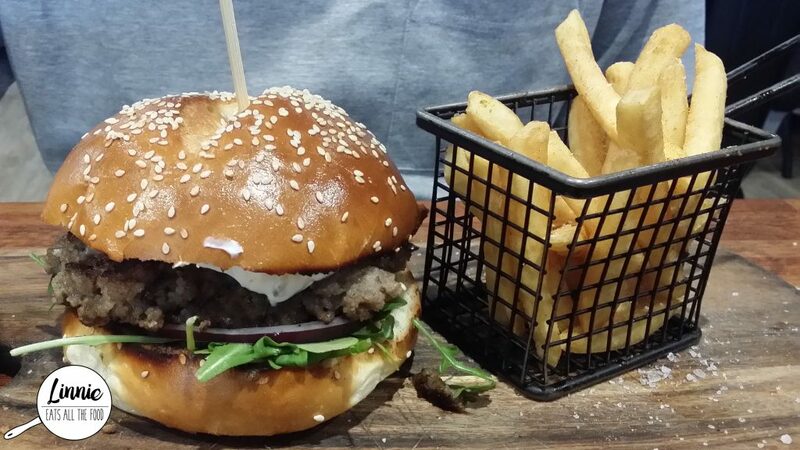 The burger was GINORMOUS and the lamb was very well prepared and quite juicy. However, he felt the overall burger tasted average and was missing some freshness to it and need a touch more tzatziki. The side chippies were crunchy but wasn’t seasoned but they do have salt on the table for you to sprinkle it on. I got the mushroom mayhem with a beef patty and this was bigger than GINORMOUS. I could not finish this monster. I felt that there was way too many ingredients in it and there wasn’t any real star in the burger. Individually, the mushroom was amazing, the beef was fantabulous but I also felt that there wasn’t a lot of flavour and required additional seasoning. The burger was decent but there wasn’t a WOW factor to it which was a shame. However, them onion rings were the BOMB. I absolutely adored them! I love the staff and the atmosphere here and I really wanted to love this place. The burgers weren’t bad but I also eyed some cakes in the window so I will definitely drop by to check out the sweets and coffee next time.